Government has urged unemployed health workers picketing at the Health Ministry to go home with the assurance that it is working to provide them jobs. Information minister Mustapha Hamid said the government has since taking over power in January 2017, has demonstrated enough commitment to securing jobs to unemployed health workers after it became a major issue in the 2016 campaign. He told a news conference on Tuesday, government has employed more than 16,000 graduates within a year of the Akufo-Addo administration. This number, he said, represented a backlog of health professionals who graduated within 2012 to the 2015 year groups but have been jobless. "Nearly all these in that category have been resolved," he said. 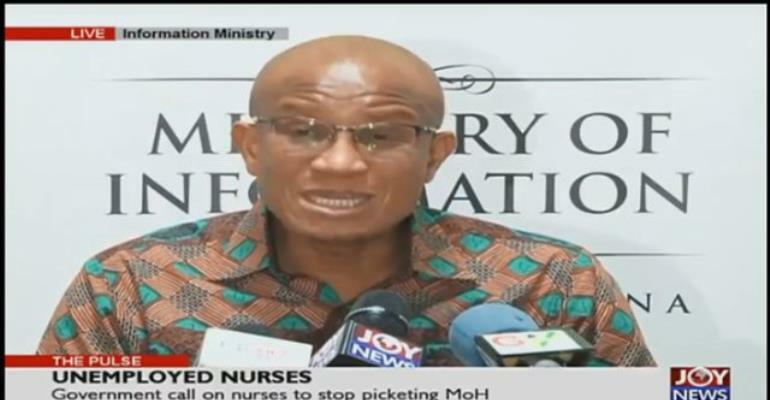 The nursing assistants who are picketing at the Ministry of Health belong to the 2016 year group and therefore would have to be patient with government to get to their turn, the minister indicated. 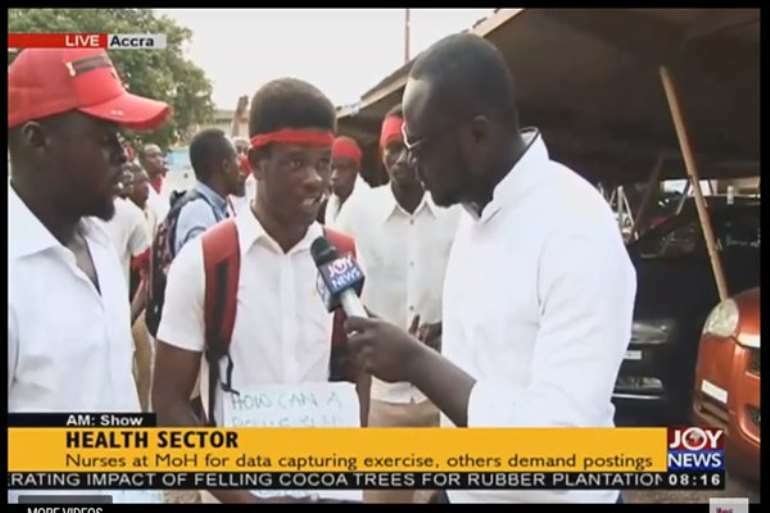 The graduates have formed “Unemployed Nurse Assistants Association 2016” and have resorted to picketing after several letters and petitions to the Health ministry failed to attract a response. The minister assured them that with the backlog largely cleared, it would soon get to their turn. "We are working to get them engaged as soon as their validation process is complete"
Mr Hamid said government has budgeted for the recruitment of 32,000 health workers in 2018. Of this number, about 27,000 are nurses, he revealed. Government has since 2014 scrapped the bonding of health professionals trained at public institutions. The bonding binds government to give them jobs. But government has been uncomfortable with the policy because it has been linked to demands for immediate employment and threats of demonstrations by the graduates of health-training institutions.